After sustaining a serious injury in a slip and fall accident, people often find themselves facing a mountain of related medical debt and wondering how they'll provide for themselves and their families while they recover. However, if the injury occurred on another person's property, the victim may be able to pursue compensation for his injuries under California's premises liability laws. However, because California’s premises liability laws are complex and can be confusing, securing the representation of an experienced personal injury attorney who understands this type of law can be essential. Premises liability incidents are accidents that occur at private residences or rental homes, commercial stores or offices, or public areas as a result of defective or dangerous property. The property in question may feature a bad design, faulty construction, unsafe building materials, or simply be poorly maintained. Common causes of slip and fall accidents include icy or snowy walkways, wet or oily floors, loose carpeting, or damaged sidewalks, floors, or stairs. 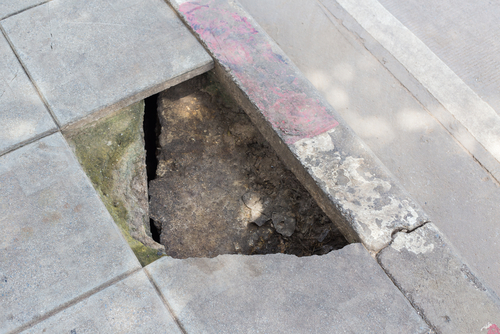 Any of these issues can create conditions that lead to premises liability accidents, such as slips, trips, or falls. According to the National Floor Safety Institute, slip and fall accidents are relatively common, accounting for more than 1 million hospital emergency room visits each year. Injuries sustained in premises liability accidents can range from relatively minor scrapes, bruises, and broken bones to catastrophic brain or spinal cord injuries. First, the attorney must show the property owner or operator had a legal obligation to safely maintain the property and take precautions to minimize dangers that others could face when performing reasonable activities. This obligation is known as duty of care. Next, the attorney must prove that the defendant breached his duty of care by failing to provide a safe environment and minimize potential hazards due to negligent or careless behavior. An attorney can establish a breach of duty of care by showing that the defendant failed to discover and correct a hazardous condition or created a dangerous situation through careless actions. Finally, the attorney must demonstrate that the breach of duty of care was the direct cause of the injury (or injuries) in question. In most cases, the defendant's legal team will attempt to attribute the injuries to another cause. A skilled personal injury attorney can utilize the available physical evidence, as well as witness and expert testimony, to help you prove your claim. Even if a personal injury attorney is able to prove duty of care, breach of duty of care, and that a breach resulted in your injuries, the premises liability case may still be a challenge to win. Other factors such as being in an off-limits area or somewhere where there was a clear expectation of danger may complicate your claim. Do You Need Help Pursuing a Premises Liability Claim? Because of the complexity of premises liability laws, having a skilled personal injury attorney by your side is key to strengthening your case and securing a successful outcome. The knowledgeable legal team at the Inland Empire Law Group has extensive experience handling premises liability cases and is eager to help you fight for any damages you may deserve. For a free, no-obligation evaluation of your case, contact our law offices in Rancho Cucamonga or Victorville today.